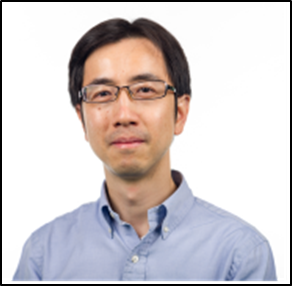 Advisory Board member, Professor Zhiqun Lin, presents an online collection featuring some of our best recent articles on perovskite nanomaterials and devices, published in Nanoscale by world-leading researchers. *All articles in this collection are free to access until the end of 2018. Pramod S. Patil et al. 2018, 10, 4987-5034. Zhiwen Jin and Shengzhong (Frank) Liu et al. 2017, 9, 6278-6285. Yu Zhang and William W. Yu et al. 2018, 10, 4173-4178. Jihoon Choi et al. 2018, 10, 1885-1891. 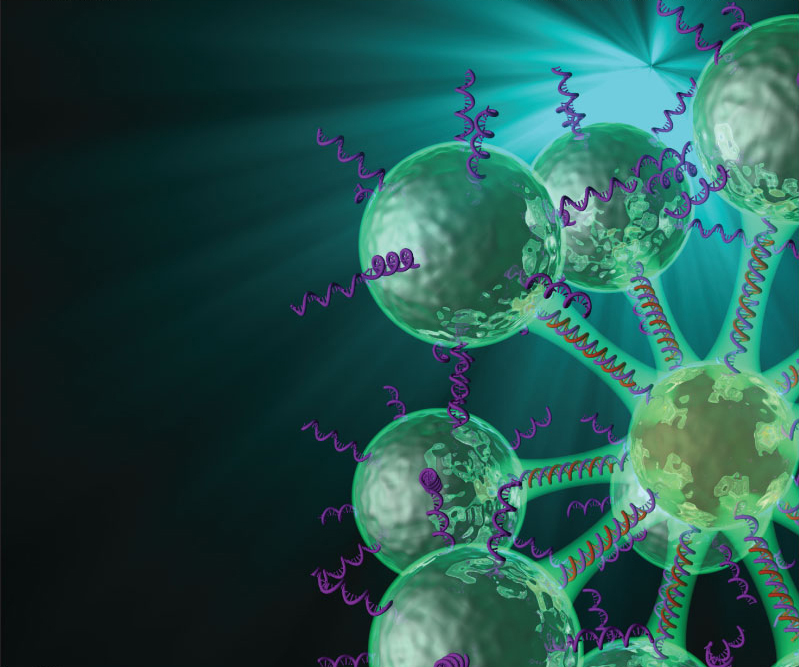 Nanoscale has established itself as a platform for high-quality, cross-community research that bridges the various disciplines involved with nanoscience and nanotechnology. Nanoscale‘s broad scope provides a rounded view of innovation in nano research, bridging the various disciplines involved with nanoscience and nanotechnology, and with an impact factor of 7.367*, we are proud to be the largest high impact journal in nanoscience. 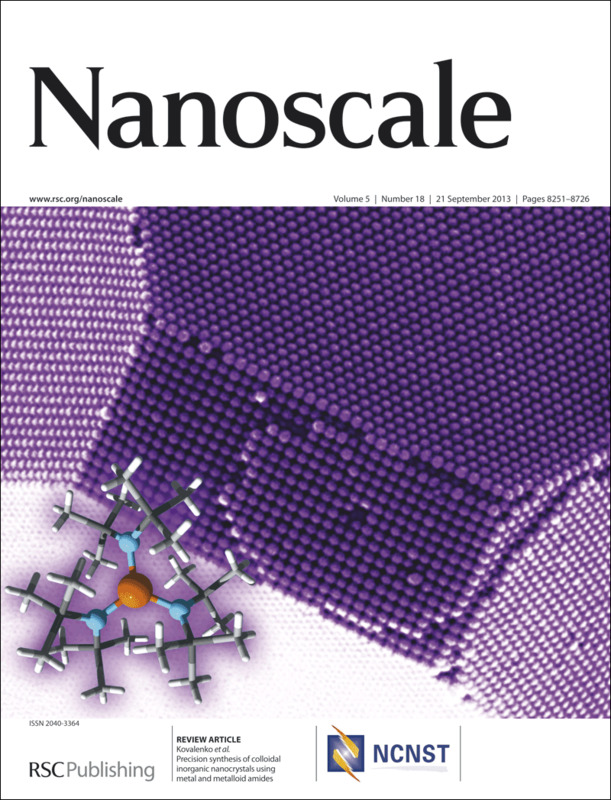 Get in touch nanoscale-rsc@rsc.org or follow us on Twitter and Facebook. We are pleased to introduce the following collection of articles marking the 7th International Conference on Materials for Advanced Technologies (ICMAT2013). Guest Edited by Professor Hua Zhang (Nanyang Technical University), this collection highlights some of the high quality research presented at the conference, which took place last year on 30th June-5th July in Singapore. The ICMAT meeting is a biennial event organised by the Materials Research Society of Singapore and attracts over 2000 delegates from all over the world. The ICMAT2013 collection includes a Mini-review, a Communication article, and two full papers. We hope you enjoy reading them. 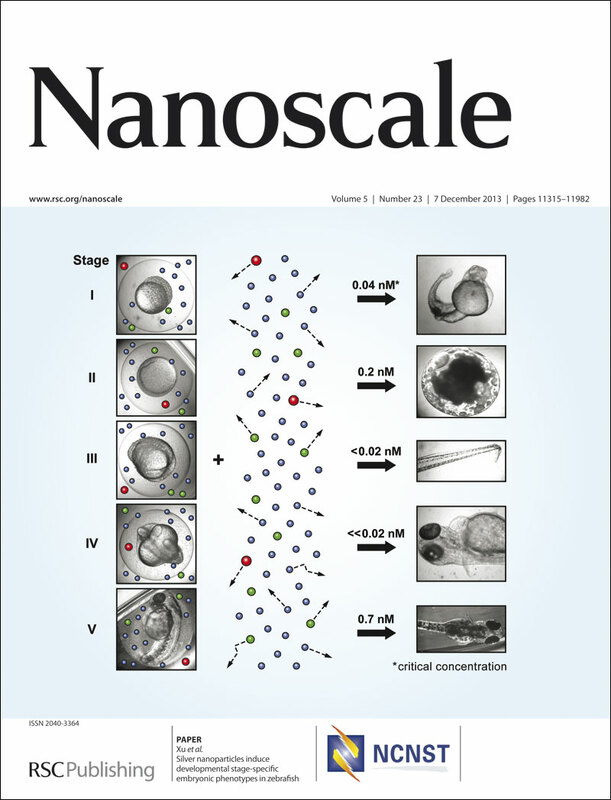 Nanoscale Issue 23 of 2013 out now! 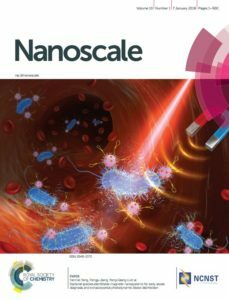 Nanoscale is delighted to present its current issue which includes an excellent collection of articles on Functional Nanoparticles for Biomedical Applications, Guest Edited by Nguyen TK Thanh. Read her Editorial to find out more. 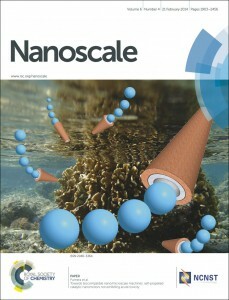 The outside front cover features an article on Cell-derived vesicles as a bioplatform for the encapsulation of theranostic nanomaterials by Amanda K. Andriola Silva, Riccardo Di Corato, Teresa Pellegrino, Sophie Chat, Giammarino Pugliese, Nathalie Luciani, Florence Gazeau and Claire Wilhelm. 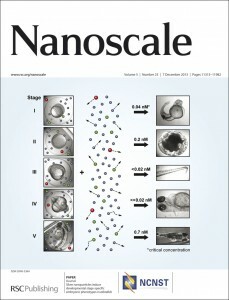 Silver nanoparticles induce developmental stage-specific embryonic phenotypes in zebrafish is the article highlighted on the inside front cover by Maksym Yarema, Riccarda Caputo and Maksym V. Kovalenko. The deadline for submissions to this themed collection is now approaching: 29th November 2013. This high-profile collection of review articles on hybrid materials will be published in 2014. The themed collection will be guest edited byMario Pagliaro (CNR, Italy) and Jean-Marie Nedelec, (Institute de Chemie de Clermont Ferrand, France), two leading researchers in the the topic of the themed issue. The articles will be dedicated to Professor David Avnir on his 65th Birthday. Professor Avnir is well known for his research in the areas of organically doped metals and sol-gel organic hybrid materials and biomaterials, and the collection will include exciting articles in these areas. Please email the editorial office if you are interested in submitting an article for this themed collection at nanoscale-rsc@rsc.org. 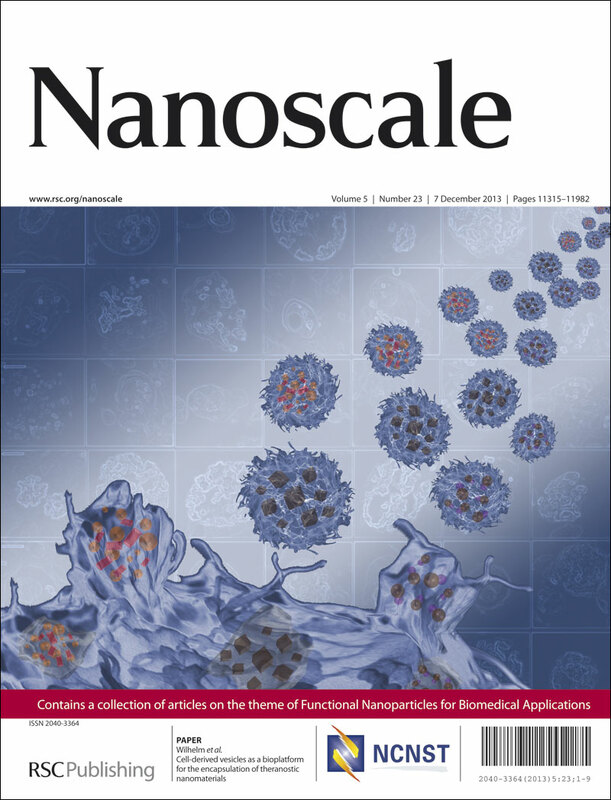 Nanoscale Issue 18 of 2013 out now! 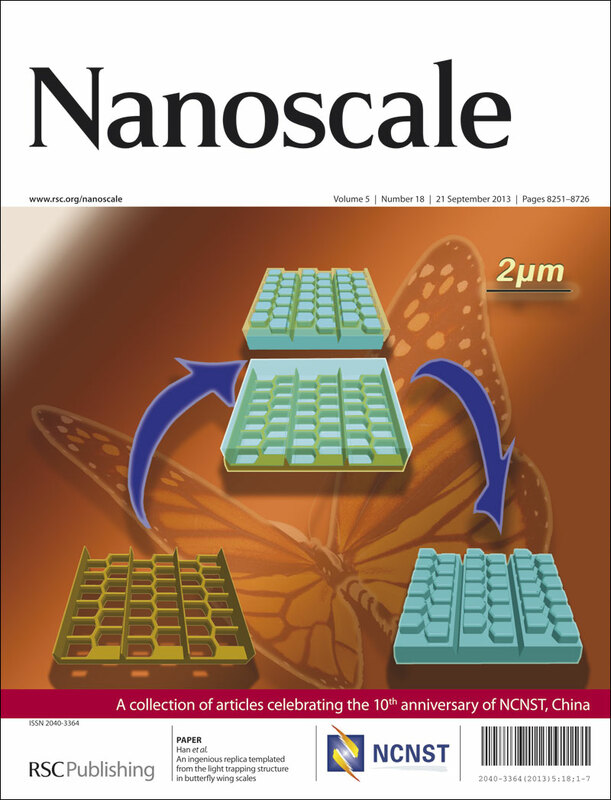 Nanoscale is delighted to present its current issue which includes an excellent collection of articles celebrating the 10th anniversary of NCNST, Guest Edited by Chen Wang . Read his Editorial to find out more. 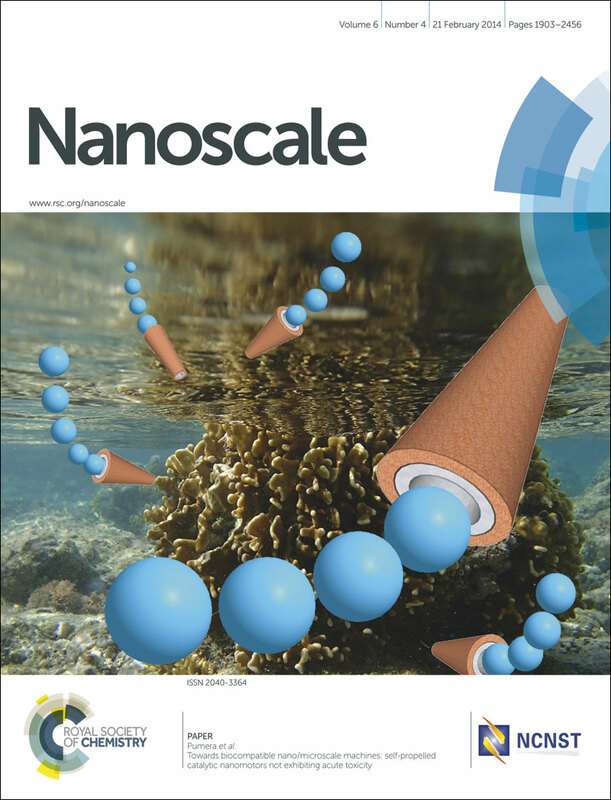 Precision synthesis of colloidal inorganic nanocrystals using metal and metalloid amides is the article highlighted on the inside front cover by Maksym Yarema, Riccarda Caputo and Maksym V. Kovalenko. We are pleased to present a web collection of articles from publications across the RSC journal portfolio demonstrating the use of (nano)technology in the diagnosis, imaging and treatment of cancer. This web collection will be free to access from today until the 28th July, so register for an RSC Publishing personal account and read this cutting edge research for free this week! We are delighted to announce a high-profile themed issue on “Helical Micro- and Nanostructures”. This will be Guest Edited by Li Zhang (The Chinese University of Hong Kong), Lixin Dong (Michigan State University) and Peer Fischer (Max-Planck-Institute). 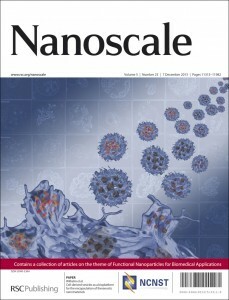 The themed issue will be published in Nanoscale in 2014. The helix is one of the most fundamental geometrical shapes in nature, which can be found at all length scales: from the structure of DNA to planetary helix nebula. 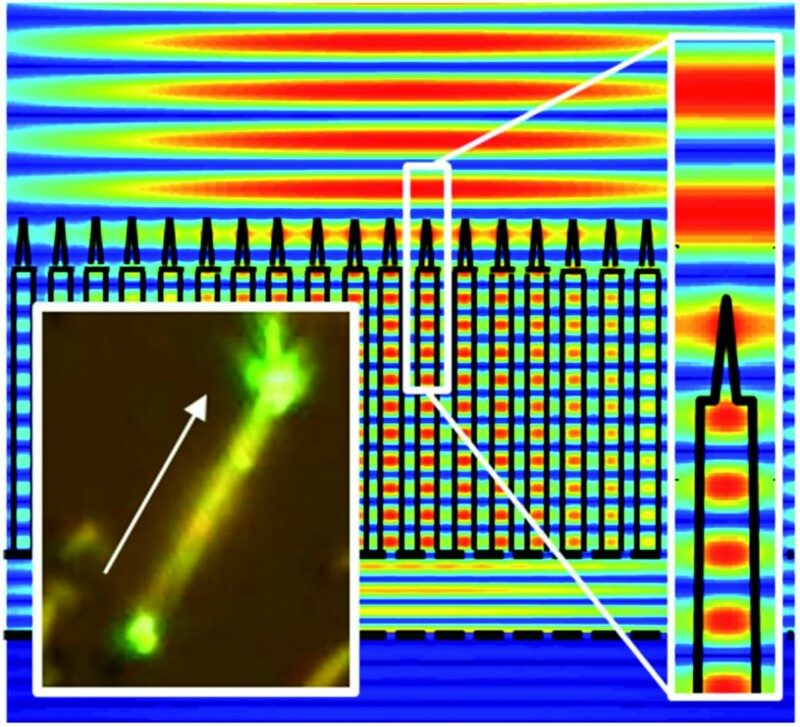 During the last three decades, novel nanotechnologies have been developed that have provided various means for fabricating helices. Based on their unique shape micro and nanohelices are poised to play an important role in nanoelectronics, optics, MEMS/NEMS, micro-/nanorobotics, new materials, biology and nanomedicine, which this special issue will highlight. This themed issue aims to bring together exciting research from scientists who are working on these fascinating structures at small scales, and to review the recent advance of helical micro-and nanostructures from the fabrication technology to their applications. Please contact the Nanoscale Editorial Office (nanoscale-rsc@rsc.org) if you are interested in contributing to this themed issue. The deadline for submissions to this themed issue is the 17th January 2014. We are delighted to announce a high-profile Nanoscale collection of review articles on hybrid materials to be published in 2014. The themed collection will be guest edited by Mario Pagliaro (CNR, Italy) and Jean-Marie Nedelec, (Institute de Chemie de Clermont Ferrand, France), two leading researchers in the the topic of the themed issue.